A person who or whose ancestors were an Indian national and who is presently holding another country's citizenship/nationality are called a Person of Indian Origin. It means a foreign citizen who at any time held an Indian passport; or him or her or either of his/her parents or grandparents or great grandparents were born in or were permanently residing in India; or he/she is a spouse of a citizen of India or of a person of Indian Origin. Any person who at any time held an Indian Passport or either of his parents or grandparents was born in or were permanently residing in India as defined in Government of India Act, 193 5; provided neither was at any time a citizen of Afghanistan, Bhutan, China, Nepal, Pakistan and Sri Lanka who has registered as PIO card holder under MHA's scheme vide notification No.26011/4/98-EI dated 19.8.2002. PIO card holders can visit India without visa for 15 years and will be required to register with the Foreigners Registration Officer in India within 30 days of the expiry of 180 days when the stay exceeds 180 days continuously. In other words, a PIO card holder can stay in India for 180 days without registration with the Foreigners Registration Officer in India. 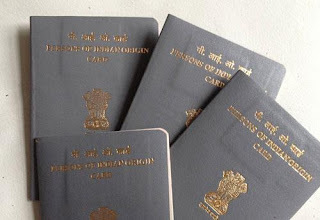 PIO cardholders enjoy parity with NRIs in respect of certain facilities such as in economic, financial and educational fields but have no political rights and can apply for Indian citizenship after residing in India for a minimum of seven years. A PIO card shall be valid for a period of twenty years subject to the validity of the passport of the applicant. 6. Parks, open spaces, playgrounds (including public recreational areas). Different land uses can also be prescribed for single survey number. It is very important to ascertain the land use prescribed for particular survey number because floor area ratio sets back coverage ad varies according to the land use. Lands surrounding gramathana sites in villages are used for agricultural purposes are known as Agricultural lands. The numbers given to them are called survey numbers. Agricultural lands within Green belt area have many restrictions with regard to conversion and constructions. Agricultural lands falling under urban agglomeration can be converted and used for non-agricultural purposes like, residential, commercial and Industrial subject to compliance of Zonal Regulation land use. It is very important to note that only Deputy Commissioner of Bangalore District is authorized to permit conversion of agricultural lands to non-agricultural purposes, falling under his jurisdiction. Gramathana is different from agricultural lands. It is an area earmarked for residential purposes in a village. It is numbered as Kaneshumari number. Gramathana site though located in green belt area, does not require conversion for residential purposes. But extra care is required while purchasing those properties as there are large numbers of form 10 conversions. The child to be adopted may be a boy or a girl but must be Hindu who has not been previously adopted. The child must be unmarried, but if the custom applicable to the parties permits the adoption of married child, such children may also be adopted. Importantly the child must not have completed fifteen years of age unless customs practiced by parties allow adoption of persons who have completed fifteen years of age. In case of a male child being adopted, the adoptive parents must not have a Hindu Son, Son's Son or Son's Son's Son living (grandson, great grandson) at the time of adoption similarly in case of adoption of female child, the adoptive parents should not have a Hindu Daughter, or Son's Daughter living at the time of adoption. d. If married, the marriage is dissolved or the husband is dead or the husband has completely and finally renounced the world or has converted to other religion or declared as of unsound mind by competent court. The Hindu female should be a major and of sound mind and unmarried to adopt a child. If married, the marriage should have been dissolved, or the husband must be dead, or the husband must have completely and finally renounced the world, or has ceased to be a Hindu, or has been declared as of unsound mind by a Court of competent jurisdiction. Minor is a person who has not completed the age of eighteen years. So a minor attains majority on completion of eighteen years of age and not just on reaching the eighteenth year of age. Previously, the minors for whom guardians were appointed by the Court attained majority after the completion of twenty one years of age. This has been amended and all minors attain majority on completion of eighteen years of age. The father and mother are the natural guardians of the minor child. The mother succeeds as a natural guardian of the minor child on demise of the father. The mother is entitled to appoint a guardian to look after the properties and also welfare of her minor child by means of a Will, which becomes operative after her death. But, she cannot appoint a guardian for the joint family properties where the minor child has undivided interest. 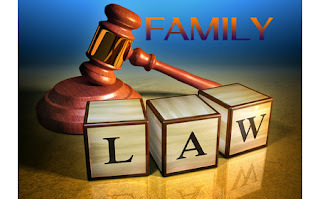 A Hindu mother who is entitled to act as a natural guardian of her minor illegitimate child may also appoint a guardian through means of a will to look after the property and the welfare of her minor illegitimate child. Can a guardian be appointed to the minors undivided interest in joint family property? The Karta is head of the Hindu joint family who is empowered to manage the property. In such cases no guardian shall be appointed. The Karta takes care of the person and the property of the minor who is the co-parcener. However the competent court may appoint a guardian for undivided share of the minor in the joint family property also. 2.Guardians appointed by Will by the parents of the minor, who are called testamentary guardians. 3.Guardians appointed by the Court. 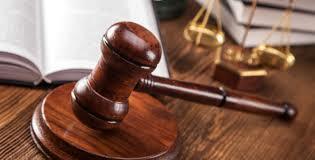 4.Persons empowered to act as guardians by an enactment relating to any court of wards. The adoptive father, and after the adoptive father, the adoptive mother would be the natural guardians of an adopted minor son. The original parents of the son given in adoption will not be natural guardians. What is the position of the mother, if the father appoints a guardian to minor person and property by Will? Father may appoint a guardian by Will to the person and property of his minor child. However such appointment of a guardian by Will does not have any effect if the father dies leaving behind his wife (mother of the minor child) who is the natural guardian of the minor child. The mother (natural guardian) will succeed as guardian and not the person appointed by Will of the father. She may appoint a different guardian by her will, who will succeed as guardian on the death of the mother. In case, she does not appoint any guardian by Will, the guardian appointed by the father by Will, will succeed as guardian of minor on the death of the mother. The guardian will act only till the minor completes eighteen years of age. 6. 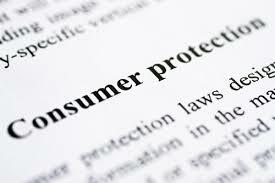 Right to Consumer Education. Complaint can be registered within two years from the date on which the cause of action has arisen. No stamp paper is required for declaration. Complaint can be registered, in person, by the complainant or through his authorised agent or by post addressed to the Redressal Agency. Lawyers are not necessary. 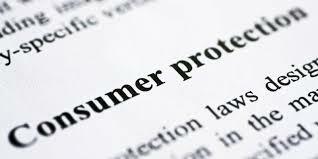 Every consumer is entitled to file a complaint before the consumer forum in writing accompanied by such amount of fee payable in such manner as may be prescribed by the Rules. Such complaint should be duly supported by documents with prima facie proof thereof.The complainant can only claim the reliefs specified under Section 14(1) of the Consumer Protection Act, 1986, as amended up to date vide Central Act No. 62 of 2002 effective from 15-3-2003. This is quite a different situation from what we discussed earlier. Here a single person makes a promise to two or more persons jointly. The promisor is single person and promisees are more than one. All the joint promisees during their lifetime, on death of any of them, the legal heirs/representative of the deceased promisee become promisee with other surviving promisees and on death of the last surviving promisee the representatives of all promisees jointly acquire rights to enforce the contract. When two or more persons promise jointly to perform or to do something for a consideration, it is liability of all such persons who promised to perform or to do something. Such contractual obligations of the promises are joint liabilities, which are governed by Indian Contract Act, 1872. We come across many such contracts in purchase, sale of the immovable properties and construction sector and also in administration of partnership assets. The person who makes promise is promisor and to whom the promise made is promisee. The promisee may enforce the contract against any of promisor in case of joint promise made by two or more persons, if the terms of contract do not provide any contrary intention. However, each of the joint promisors has a right against other promisors. They may compel the other promisors to contribute equally or as provided in the contract for performance of contract. In case of any of the joint promisors defaults in contributing towards performance, the remaining joint promisors must bear the loss arising from such default in equal shares. In case of a joint promise made by two or more persons, the promisee may release any of joint promisors from performing the contract. But such release does release the other promisor from performing the contract and does not discharge the released the promisor of his liability, responsibility to other joint promisors. The Section 42 of the Indian Contract Act deals with this situation. It does not make any distinction between joint promises and several promises. According to the said section in the absence of any contrary in the contract, all the persons who made promise during their joint lives; after the death of any of the promisor, legal heirs / representative of deceased promisor along with surviving promisors; after the death of the last surviving promisor, the legal heirs, representatives of all the promisors, are bound to fulfill the promise.But if the contract provides for any contrary intension the liability devolves according to the contract. Sale of an immovable property is an act of contract between the parties. Each party to the contract has definite duties to perform; the vendor has to establish his title to the property, handover the title deeds and vacant possession of the property at the time of registration. The purchaser has to pay the consideration as agreed, attend the registration office and help in completion of registration formalities.The vacant possession of the property is handed over to the purchaser at the time of registration.But in certain cases, the vendor hands over the vacant possession of the property to the purchaser, pending registration of sale deed.This is called part performance. 1.It must be contract for transfer of immovable property for consideration. 2.It must be in writing. 3.It must have been signed by the seller or his authorised agents. 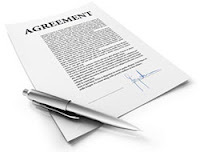 4.The terms of contract shall be clear, should be ascertainable with reasonable care with certainty, the act of part performance should also be part of the contract. 5.The vendor in pursuance of the contract should have put the purchaser in possession of the property. 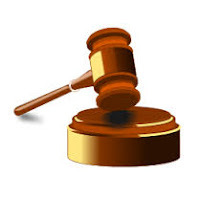 The purchaser should have taken the possession and if already in possession shall continue to be in possession. 6.The purchaser has done some act like payment of consideration in pursuance of the contract or willing to perform his part of contract. When the person who desires to invoke the doctrine of part performance is not the signatory to the agreement or the consent party nor the recitals show that the agreement was entered into with the consent of such person, he cannot seek protection under the doctrine of part performance since there is no privity of contract between the parties. The applicability of part performance has two important ingredients, the existence of written contract and payment of consideration.The transfer should be a transfer for consideration.In case of gifts there is neither sale contract nor consideration.The essence of the gift is transfer of property without consideration.As such the doctrine of part performance is not applicable to gifts. In Bank of Baroda v. Parasram Mangaram. (I (1999) CPJ 79 (NC)) it has been held that the current bank account which was signed only by the respondent in capacity of partner M/s. Mangaram & Sons and no one else, cannot be freezed in its operation at the instance of any other person or persons except the one who had signed the account opening form in absence of any injunction of Court. The facts of the case in Indian Airlines Corporation v. Abdul Majid and another, (II (1993) 251 (NC)) are that a wait listed ticket holder of Indian Airlines upon his ticket having been confirmed on the date of the journey boarded the flight and occupied the seat allotted on his boarding card. Sometime later the duty officer of Indian Airlines along with other officers forcefully ejected the complainant from the aircraft and in the process the shirt of the passenger was torn off and he was humiliated. Against this action of the Indian Airlines, the passenger filed a complaint with the Tamil Nadu State Commission and the Commission held that there was deficiency of service on the part of the Indian Airlines which has been upheld by the National Commission, in appeal. In Air Exports India, (III (NC)) first appeal the decision of the France v. Patel (1996) CPJ 143 was filed against Tamil Nadu State Commission allowing the complaint against the airlines for delivering the consignment to M/s. Rovi Fashion through its handling agent without proper endorsement of the airway bill in its favour. Affirming the impungeci decision and dismissing the appeal. the National Commission upheld the State Commission finding that there had been gross deficiency in service on the part of the airlines and its handling agent in making delivery of the goods without production of the endorsed original airway bill as was specifically required under the terms of the contract of carriage entered into between the parties. It has been held by the National Commission in Harmohinder Singh v. Anil Sehgal and another. (II (1999) CPJ 8 (NC)) that an airconditioner assembler dealer cannot avoid his liability simply on the ground that he is not a manufacturer of the defective compressor. A complaint lies against such assembler / dealer who fails to carry out the terms of the warranty. 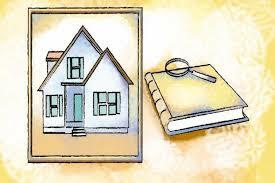 It is very difficult to construct house without availing housing loan. 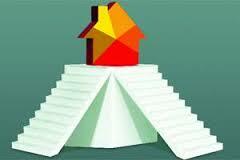 There are various banks and Housing Finance Institutions (HFIs) which provide housing loans. In spite of existence of these agencies, availing housing loans may not be an easy task. 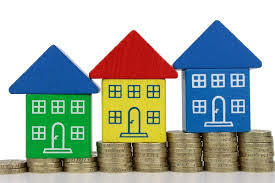 Though banks and financial institutions do have a positive approach in matters concerning housing loans, they would be handicapped to entertain any application for housing loan unless and until the applicant has good and marketable title over the property and has complied with the requirements of bank for sanction of housing loan. Therefore, the primary requirement which a borrower of housing loan has to fulfill is to comply with the procedural requirement of the lending institution with necessary supporting documents and proving the marketable title of the property. Banks and financial institutions entertain applications for grant of housing loans for purchase of site, ready built house or flat, for construction of house, renovation and repair of house etc. a] Loan for purchase of land - Though most of these institutions do not welcome applications for grant of loans for house sites because of the risk involved in these transactions are more than those in other types of loans. Still banks and financial institutions do grant loans for house sites. b] Loan for House Construction - Generally, a large number of people get loan from the banks and financial institutions for construction of a building as per sanction plan. c] Composite Loan - Under composite loan, banks and financial institutions grant loans for both buying the site and also for constructing a house thereon under a single application. d] Loans for renovation or repairs - Banks and financial institutions grant loans for renovation or repair of the existing house upon being satisfied with the property documents and the repaying capacity of the borrower. e] Loan for purchase of ready built house or Flat - Banks are not averse to grant loans for purchase of ready built house or flat. f] Take over Loan - In cases where a borrower has already availed housing loan from one of the financial institutions or banks, but desires that the loan amount outstanding in that bank be taken over by another bank for various reasons such as low interest rate, flexible EMIs, conversion of flexible rate of interest to fixed rate of interest etc., the latter bank upon being satisfied with the title of the property and the credibility of the borrower would clear the outstanding loan amount of the previous bank by sanction of loan on the basis of the property documents already pledged with the previous bank and upon fulfilling the procedural requirements of latter bank. Once there is take over of loan, the borrower would be liable for repayment of the loan amount with interest of the latter bank. The first and foremost aspect which the Banks consider before entertaining the loan application is to know whether the applicant has the regular monthly income or not. For this purpose, in the case of salaried persons, employment in a reasonably good organization with loan repaying capacity would be the criteria adopted to decide as to whether the borrower could be considered for grant of housing loan or not. In the case of self employed or businessmen, the duration of their standing in the profession or business, their financial status etc., would be considered before entertaining the application for housing loan. To arrive at the quantum of loan permissible, the Banks will take into consideration the income declared in the I.T. return for the last three years, bank statements for the last 6-12 months and other relevant documents. The financial transaction statements issued by the bank will disclose various relevant information such as outstanding loans and repayment, if any, details of bounced cheques, if any, regular credits of income, subsisting encumbrance if any etc. In the case of salaried people, loan will be sanctioned on the basis of the present net salary and only 50% of the salary amount will be considered by the Bankers for loan repayment purpose. For instance, if the applicant is getting Rs. 10,000/- PM take home salary, loan will be sanctioned taking into consideration 50% of the salary only. The Banks will also look into the total number of dependents of the applicant to ascertain his repayment capacity. If the dependents are more, the loan amount sanctioned will be obviously less. In addition to this, the applicant's antecedents are also thoroughly checked before sanctioning the loan. Similar criteria will be adopted in the case of self employed and business people. To make doubly sure of repayment of loan by the borrower, in many cases, the banks do insist on providing a guarantor for the loan sanctioned. Banks do not generally entertain applications for repayment of housing loans beyond the age of 65 years. In other words, housing loans are to be cleared before the borrower attains the age of 65 years. To entertain applications for sanction of higher housing loans than normally admissible to an applicant, banks do consider joint applications and sanction housing loans by considering the income factors of both the borrowers. Be that as it may, no applications from person with irregular and uncertain monthly income will be entertained by the banks for sanction of housing loans. The age of the property is the primary deciding factor for sanction of housing loans in respect of old buildings. For sanction of housing loan for purchase of old buildings, the banks consider the conditions of the building, date of construction etc. But no housing loan is sanctioned if these buildings are of more than 50 years old. In addition to this, the property which the borrower intends to purchase should be within the geographical limits approved by the Banks for sanctioning the loan. If the applicant intends to buy properties situated in the areas which are black listed by the Banks for various reasons, no loan whatsoever would be sanctioned, irrespective of borrower's financial status. When once the banks are satisfied with the status and the repaying capacity of the borrower, the banks do collect copies of the property documents for examination and opinion from their expert body. 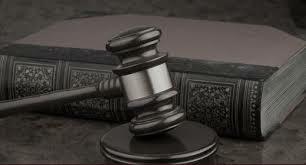 The bank's advocate shall examine the title of the property right from its origin, flow and the present status. If the title is not clear, the application will not be entertained. The Banks will not sanction the loan even if the opinion is clear but the supporting original documents are missing since it may conclude that the property is either mortgaged elsewhere or having some other problem. Usually, Banks provide the loan to an extent of 85% of the total estimated amount of the plot or property or flats. The remaining 15% has to be arranged by the applicant and the loan will be sanctioned by the bank only after giving satisfactory evidence regarding his capability of mobilizing that 15% of the balance amount. The actual market value and the percentage of depreciation of the property will also be taken into consideration before the sanction of the loan. As sanctioning of housing loans is left to the wisdom and sweet will of the banker, some of the multi-national banks do not entertain the loan applications from artists, police, journalists, politicians and advocates. Presently the banks have stringent instructions on the grant of housing loans from the Reserve Bank of India and the Finance Ministry. In spite of this, banks do entertain good proposals for grant of housing loans. A clear and marketable title of property free from encumbrance would provide the owner a rightful ownership of such property and the possession of the property could be either physical or constructive. The foremost requirement to be exercised by the intending purchaser of property is to thoroughly scrutinize the title deeds of the property. There is no particular yardstick prescribed to trace out the title and, therefore, it depends upon the diligence and application of mind of the person who scrutinizes the documents. Scrutiny of documents is a specialized work and only persons who are well versed in scrutiny of property documents can analyse and give a clear opinion. Generally speaking, origin of the property, subsequent transfers and the present status are the three most important aspects which are taken into consideration to trace the title of a property. Testimonium is the concluding part of the Deed. This clause is incorporated in order to authenticate the execution of the instrument. It is in this part of the instrument, the parties having interest over the schedule property sign the deed, confirming their consent for the conveyance of the same apart from the parties to the deed.